By Charlie Nardozzi, Senior Horticulturist , National Gardening Association, and Dr.
starting greens are some of the gardening activities for this month. 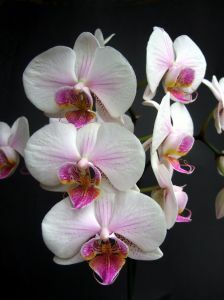 Fertilize with a dilute liquid orchid fertilizer (high phosphorous, low nitrogen). Let the soil dry out somewhat between waterings but not get completely dry. with water up to the bottom of the pebbles. the lights about 4 inches above the tray. at the ends of the tubes, a sign they are losing intensity. and placed in the cold. and heal itself next season.